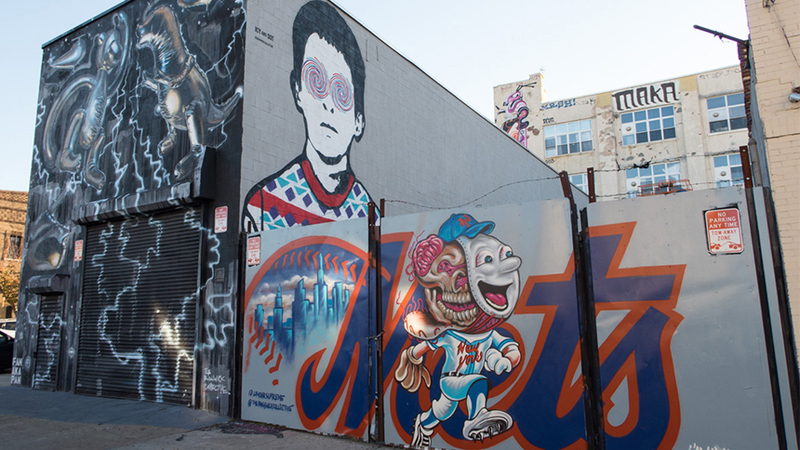 Before Manhattan became the gleaming city of today, it used to be a gritty, graffiti-filled haven for underground artists who gained prominence in the early ‘80s. Pop artist Keith Haring led the pack by creating old subway installations, and while you won’t find these spray-painted masterpieces on today’s trains, you’ll still find Instagram-worthy walls — now legally dedicated to well-known and emerging artists. So next time you’re in the city, skip the museums and craft your own urban walking tour not far from Mondrian Park Avenue. 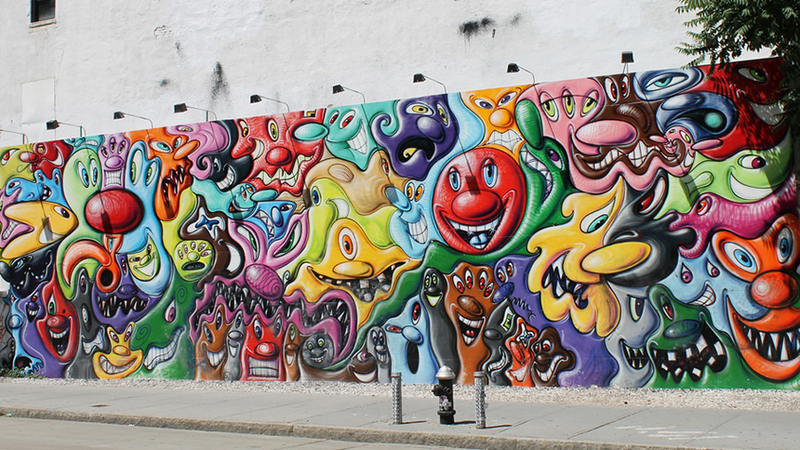 Just below, from the Bowery to Coney Island, some of our favorite spray-painted locations. Situated where Bowery meets Houston Street, this renowned Lower East Side wall has housed some of the most prolific street names in the business. The aforementioned Keith Haring made the wall infamous in 1982, and now you can find commissioned works by Bansky and Shepard Fairey, among others. 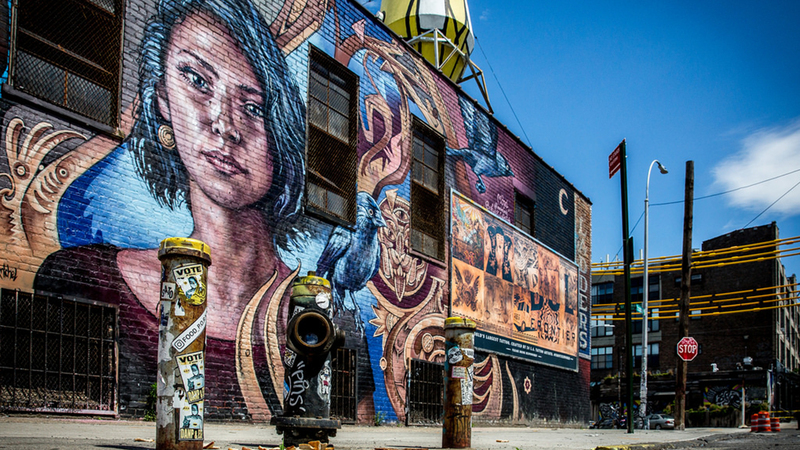 Each season, the owners of the wall curate a rotating list of emerging and big-name artists — including this season’s bold, primary-colored mural Intermission by Tristan Eaton. Don’t forget your camera. Back in 2011, neighborhood fixture Joseph Ficalora enlisted his friends to cover and tag the walls of Bushwick, stretching for several blocks (on brick buildings, parking lot structures, and wherever there was blank canvas) from Jefferson Street to Troutman and including edgy works by luminaries like Stik, Nychos, Swoon, and French stencil master Blek le Rat. (We like the blue sleeping monster by Subway Doodle.) Each summer, an annual block party celebrates the visuals including live demonstrations — alongside food trucks and music. In the spirit of collaboration, this project started in 2014 in the Lower East Side and has now expanded to East Harlem and Staten Island. 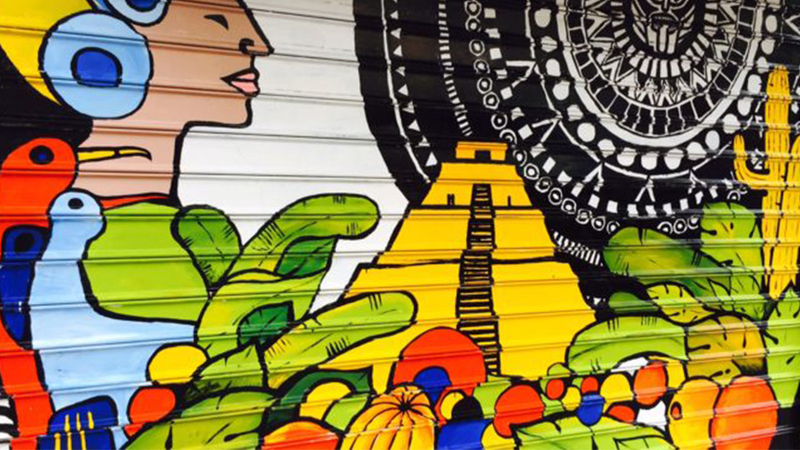 The idea is simple: Storefront merchants collaborate with street artists looking for blank canvasses — in this case, tagging the tops of roll-down metal security gates. The best time to view these top works from the likes of Manhattan native Cey Adams and Paul Deo are either late night or early morning before the shopkeepers arrive. For close to 20 years, this outdoor “gallery” on East First Street has been a de facto art site where construction trailers house murals and wheatpastes. 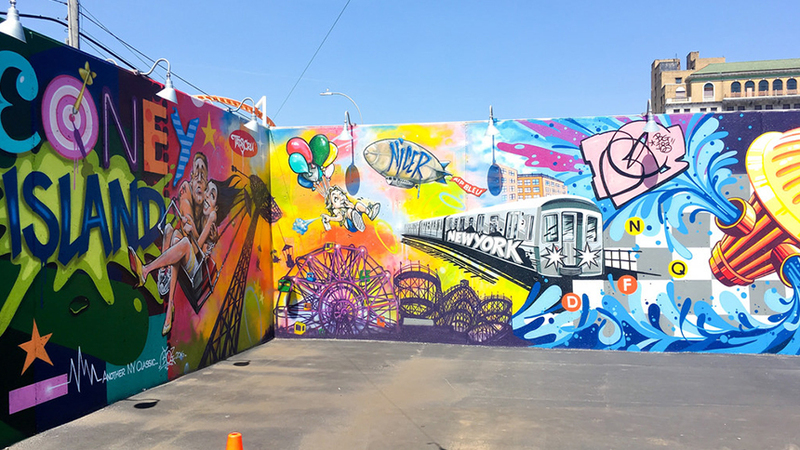 Thanks to locals Jonathan Neville and Pebbles Russel, who came up with the idea, you can now find a sprawl of bright art murals and spray-painted masterpieces including edgy, colorful works by Brooklyn-based Ian Furgeson, Cycle 21, and Kwue Molly. A trip to this fabled Brooklyn amusement park gives you access to the iconic Cyclone, Luna Park, and Nathan’s Famous Hot Dogs. These days, you’ll also find 35 outdoor large-scale street works, curated by visual ringmasters Joseph J. Sitt and Jeffrey Deitch — the legendary SoHo gallery owner — and currently hosting a buzzy lineup of artists like Lady Aiko and Crash, a fierce collaboration with Thrive Collection and Daze, and a wall hosting the witty, London-based D*Face, known to mesh pop culture with glossy graffiti.